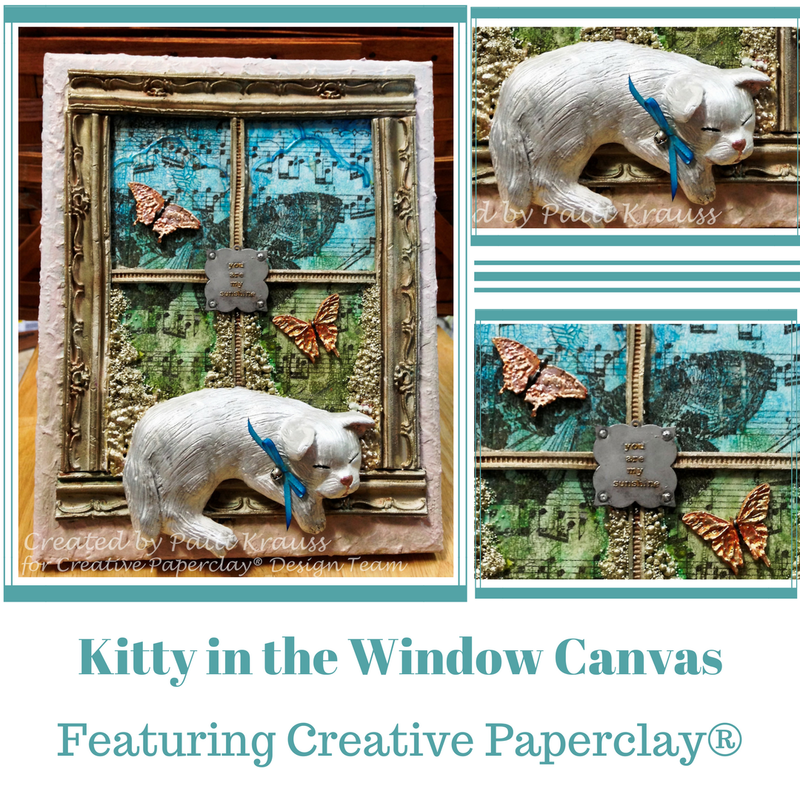 Hi Friends: Do you love the image of a kitty in the window? 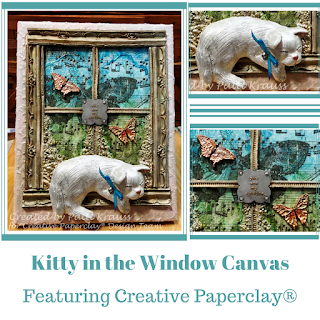 Here's a video tutorial that uses Creative Paperclay® to make a cute kitten and window frame canvas. 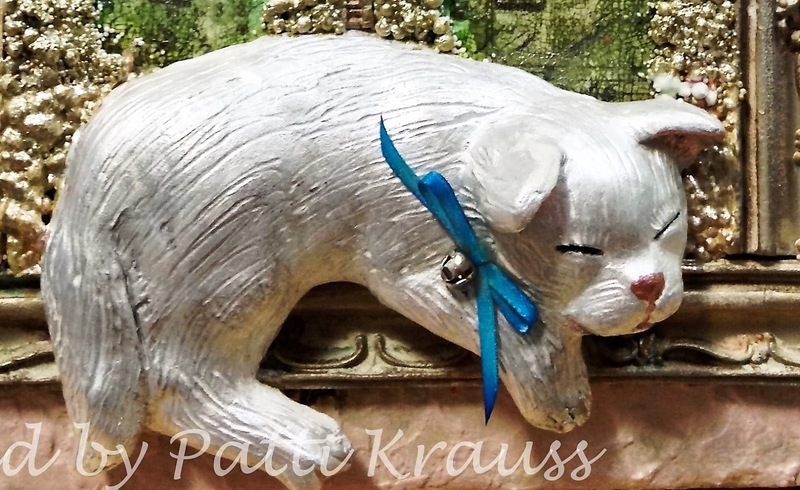 I used a favorite ceramic kitten with Mold-N-Pour to make the kitten mold. 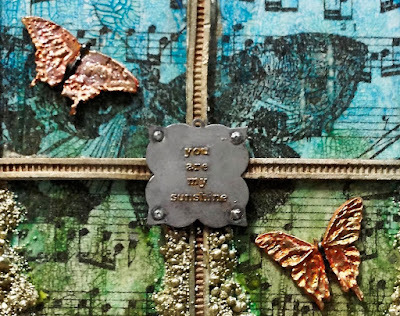 I used a Prima IOD mould and the Wilton Lace mold for the window frame, and a favorite butterfly mold for the butterflies. 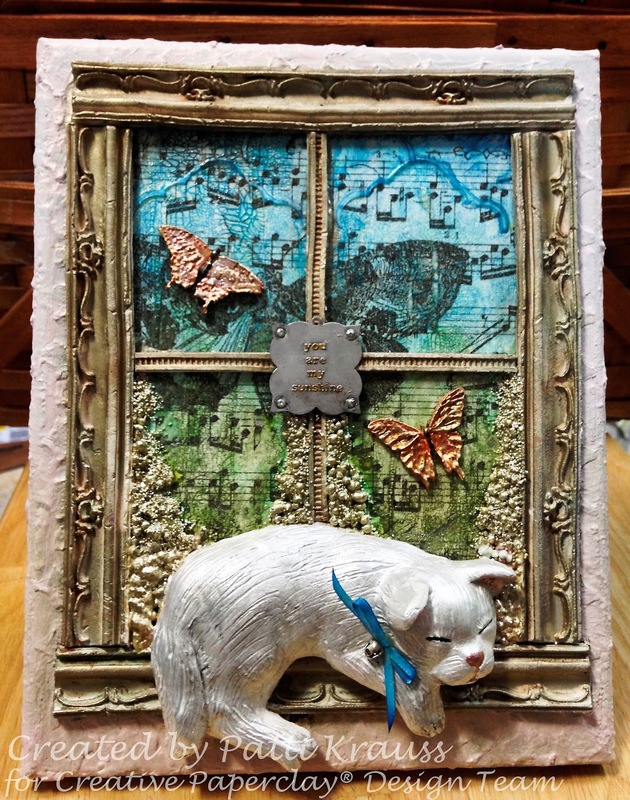 I also used some favorite stencils, paints, and waxes to finish my canvas. 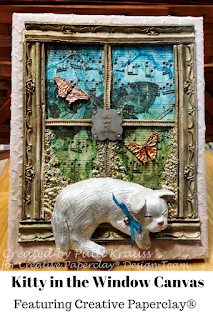 Here are some photos of the project - you can watch the video tutorial, below, for full instructions to create the canvas.